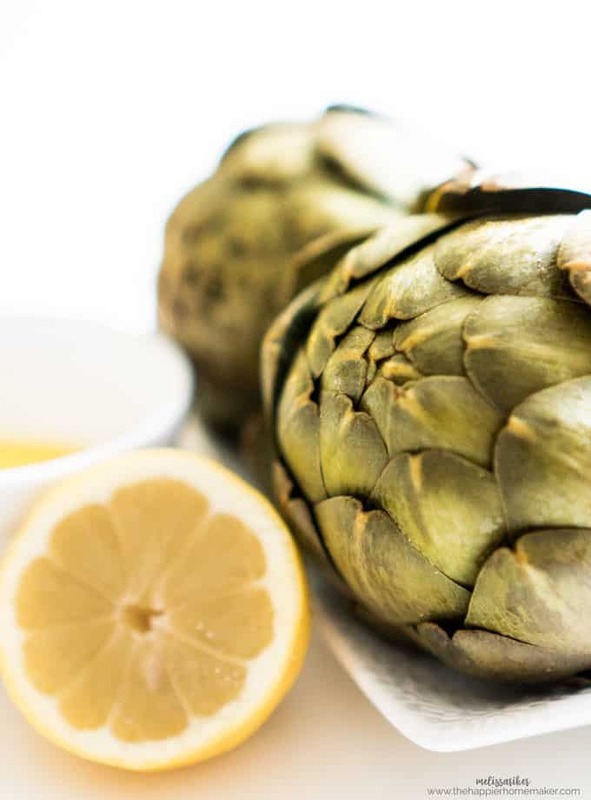 How to Cook an Artichoke - Easily Steam an Artichoke to Perfection! Artichokes are probably my very favorite vegetable-my mom used to steam artichokes for me when I was a kid and now I get to share them with my little boys as well. Recently at my supper club we were chatting about artichokes and I was shocked when no one else at the table knew how to steam an artichoke!! They were really missing out! 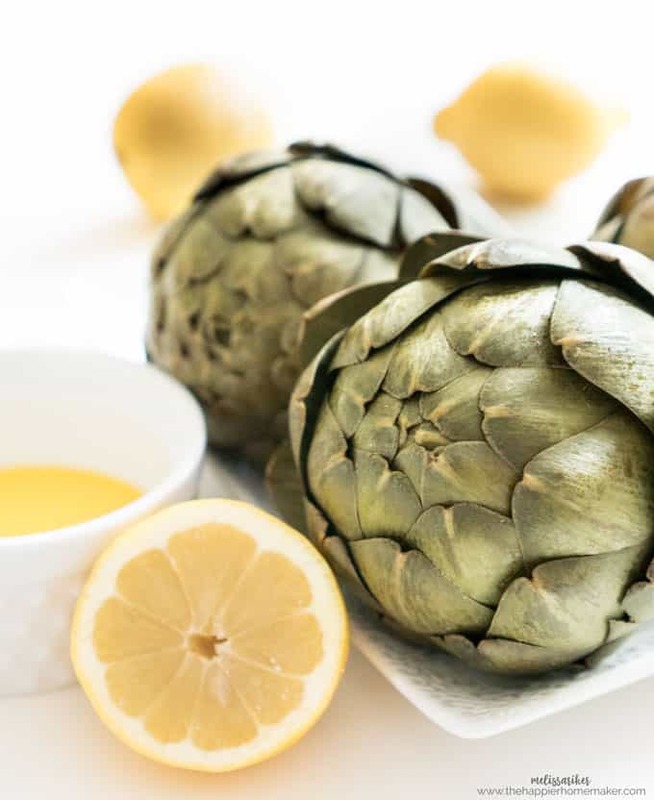 I use canned artichokes in recipes sometimes but nothing beats a freshly steamed artichoke-today I wanted to share with you just how easy it is! 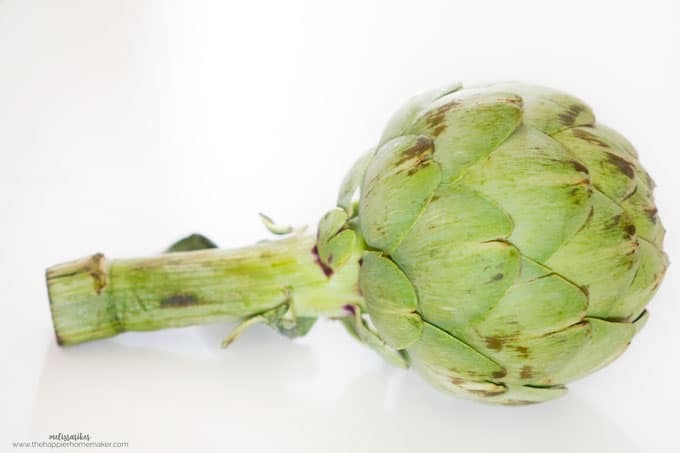 First, to pick an artichoke, try to look for artichokes that are heavy and closed tightly-they will taste fresher. In the winter months look for frost-bitten artichokes like above that have a bit of discoloration on the tips of the leaves-they are also more tender and flavorful. Now, on to the cooking! I see so many tutorials of people clipping the leaves (actually petals-an artichoke is a flower!) and chopping the top off the artichoke and I honestly don’t know why that’s necessary. I’ve never done anything but maybe trim the stem a little if I needed to make more room in the pan! Fill your pot with water until it’s just under your steamer basket. Add the artichokes to the basket, trimming the stems if necessary to make them fit. Cover the pot and put over high heat until boiling, then reduce heat to a simmer. Steam for 25-45 minutes adding water as necessary if your steamer basket is very shallow. For one medium artichoke 25 minutes should be suffice, if you are cooking multiple artichokes or very large artichokes it will take longer. 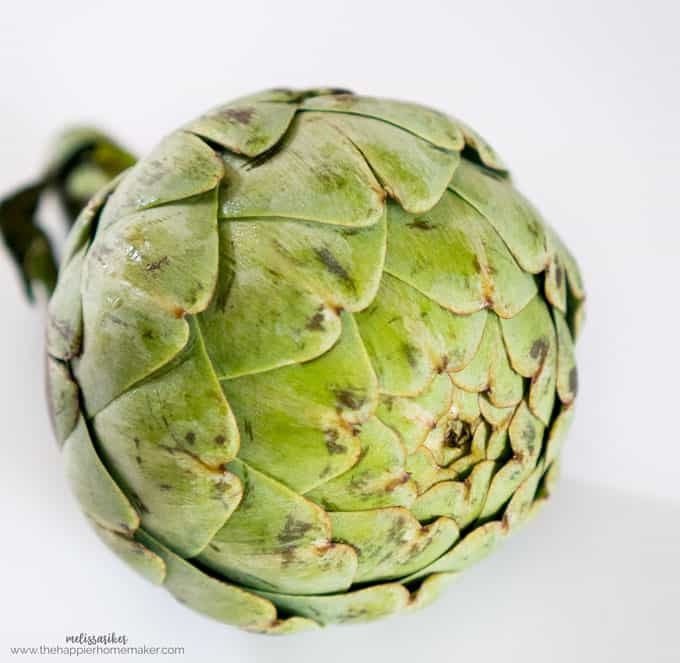 To test for doneness pull a leaf off the artichoke-it should come off easily with little force. 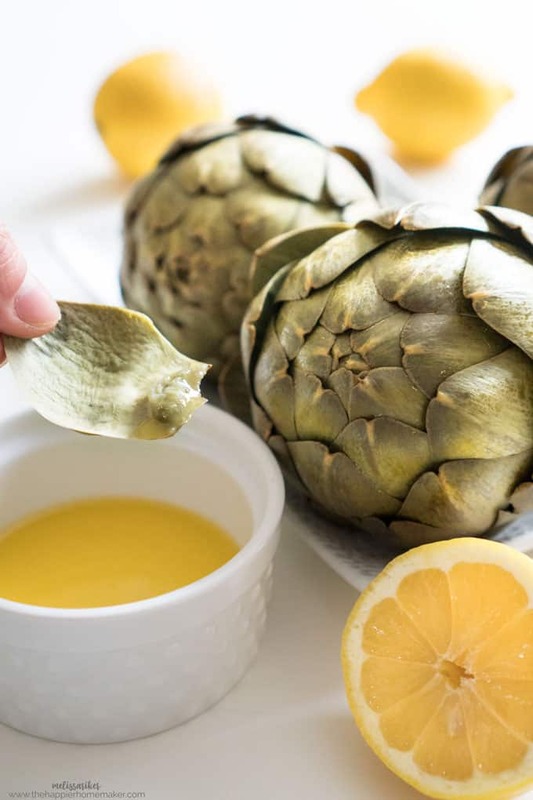 To adapt this for the pressure cooker simply set the artichokes on the steam rack, add one cup of water and cook for 20 minutes on high pressure! Instant Pot lovers rejoice! I like to serve my artichokes with some melted butter-you can squeeze lemon into the butter as well if you wish (my favorite!!) To eat the artichoke-if you haven’t had them this way before-simply peel the leaves off and dip in the butter then use your teeth to scrape the white fleshy end-yum!!! When you get to the interior of the artichoke use a spoon to remove the inedible fuzz and reveal the heart. Trim off the stem and enjoy!! They are so delicious and good for you! What is your favorite way to eat an artichoke? Do you steam them as well?